Sanusi sets to challenge his suspension in court. You are at:Home»News»Sanusi sets to challenge his suspension in court. …says he was out to protect the Bank’s independence. The Suspended Governor of the Central Bank of Nigeria, CBN, Lamido Sanusi, says he intends to challenge the legality of his suspension from office, to establish whether President Goodluck Jonathan has the legal authority to take such decision. “It has never been my desire to hold on to a job. However, I believe if the CBN governor cannot be removed from office, then he cannot be suspended. He can be queried, but the exercise of the arbitrary decision to remove him must be challenged,” he said. 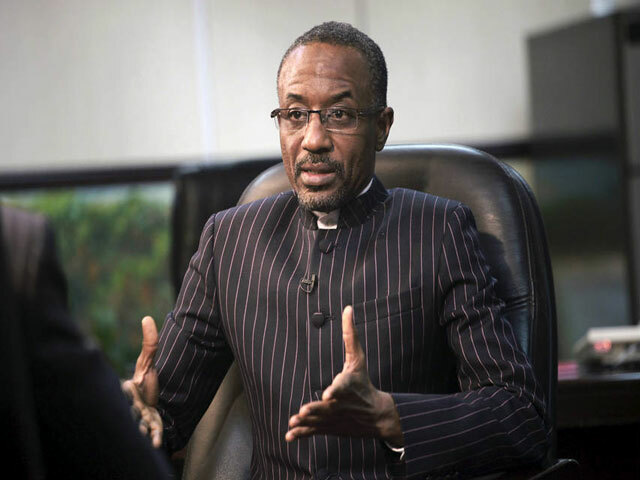 Mr. Sanusi was speaking to the cable news network, CNBC Africa, from Niamey, the Nigerien capital, shortly after news broke that he had been suspended from office by the Presidency. The former governor, who was in Niamey to attend the ongoing conference of the West African currency zone with other governors of the Central Banks in West African, said he had to hurriedly leave venue of the meeting shortly after the Nigerian Ambassador to Niger confirmed to him the directive by the presidency to inform him of the suspension. Though he said he was not bothered about the suspension as an individual, as he was proud about his achievements and legacies, Mr. Sanusi said his plan to challenge the action bordered on the need to protect the independence of the CBN as an institution. “There is the view by some people on whether the president has the authority to remove or suspend the Central Bank governor, or whether the action is not illegal. I am not interested. “As an individual, I was invited to serve my country, and I have always known that at any point the government feels it is time to go, I will go. But, in terms of the institution, it would be helpful to establish the principle by the court, and I think that is the step I intend to take,” Mr. Sanusi said. Inspite of his decision to challenge the decision in court “to establish once and for all if the President has the powers to do what he has done,” Mr. Sanusi said he has resolved not to return to the job, as it was never his desire to hold on to any office. “If it (the decision) is not challenged, then from now the next CBN governor cannot be independent. He can be suspended for any reason, and the independence of the CBN would be totally undermined. It is important to establish the point legally whether this can happen. I do plan to ask the court to confirm if, indeed, that authority exists. I will challenge it,” he said. Expressing surprise that the decision took so long in coming, he pointed out that though one can suspend the individual, he did not believe the truth can be suspended. “This is all about concerns around oil revenues and corruption in the oil sector. If the suspension is going to bring back the missing $20 billion, then it is fine,” he said. He said his major concern was for the financial system, particularly the negative impact of the decision on the Nigerian economy and the need to protect the interest of the CBN. He listed the legacies of his tenure at the CBN to include slow inflation rate, stable exchange rate, well governed banking system, robust reserves, independent Central Bank and financial inclusion, pointing out that he was satisfied with the service he rendered, which he would not want to see unraveled. On allegations by the Presidency that his suspension was based on the report received from the Financial Reporting Council of Nigeria, FRCN and other investigating agencies about various acts of financial misconduct that characterized his tenure, Mr. Sanusi said he intends to see what those allegations are when he returns to the country. Sounding dismissive of the allegations, Mr. Sanusi said the only thing he was aware of, which are not new, were the questions asked by FRCN about the published CBN audited account, which he had since sent a response to the President, who did not give any feedback. He dismissed insinuations that the decision was politically motivated, saying he has opted not to comment on that, pointing out that he believed it was the consequence of the actions he took while in office. On the capacity of his successor, Sarah Alade, to sustain the momentum of his achievements, Mr. Sanusi described her as a very competent person, whom he has every confidence in to run the CBN successfully. “I wish her the very best. I have no ill feeling. I am happy and proud of what I have done. I am looking forward to the future. I am very happy with what I have done during my tenure,” he said. Ms. Alade is expected to act as CBN governor until a substantive one is confirmed by the Senate. Already, President Goodluck Jonathan has submitted the name of the current Zenith Bank boss, Godwin Emefiele, as new CBN governor.